A few years ago I finished an article criticizing local universities for sitting out the pension debate. With all their research capability and billions in funding, I thought they should be helping pull the covers off the growing crisis and offering some ideas. “But wait,” I thought as I finished. “With all the craziness in universities today, who’d want them involved?” So I didn’t publish the article. Well, the executive director at the Center for Municipal Finance at the University of Chicago’s Harris School of Public Policy is confirming those fears. He has an idea for us, published this week in Crain’s. Chicago could just transfer ownership of city assets to its pensions. Voila, the net position and funded ratio of the pensions would immediately improve by the value of the assets conveyed. 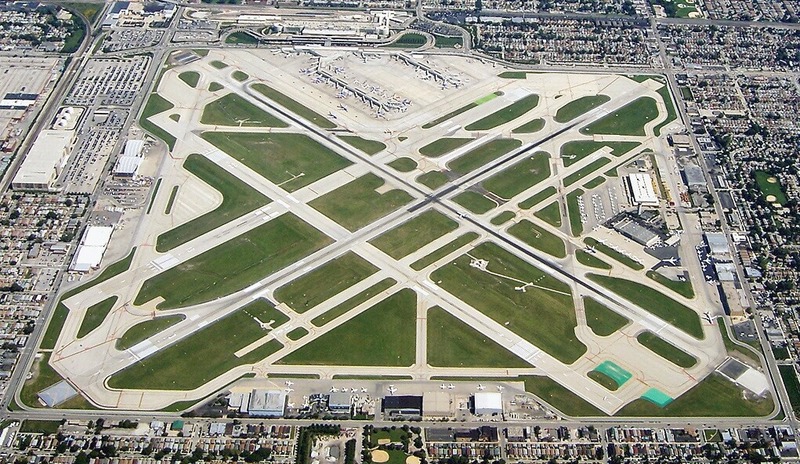 Midway Airport is a good candidate for an asset transfer, says the author. Good grief. Where to begin? • Transferring ownership to the pensions wouldn’t improve the city’s position by a dime. The city is ultimately on the hook for its pension obligations and it’s the city’s overall position, consolidated with its pensions, that counts. • Pension boards of trustee and their staffs aren’t remotely qualified to manage the assets. Look at the trustee bios. Sorry to be harsh, but many have no financial or business training or experience whatsoever. They shouldn’t be running pensions, much less taking on management of operational assets. Their staffs are mostly very qualified, but at indirect investing. Almost all their work is comprised of picking fund managers who invest money for them. They rarely invest directly, and certainly don’t manage hard assets like airports. • The valuation of the asset, by which the pensions’ position would be marked up, would be rigged. This is Chicago, after all. Would anybody trust that valuation? Even if it were done in good faith, determining true value of public purpose assets would be extremely controversial. • The public assets transferred would be at risk of being liquidated to pay pension benefits. That’s why the assets are there! The author of the article claims the opposite — that “An additional benefit is that the asset remains in the public domain.” No, the asset would be locked in trust for the benefit of the pension only. Since Chicago is insolvent and its net position wouldn’t change, transferring assets would only put those assets at direct risk of liquidation. The Harris School, by the way, is very progressive, bearing little resemblance, philosophically, to U of C, historically. It would sure be nice if they bounced their ideas off some of the straight thinkers in the business school or old timers in the Economics Department. Would the pension funds even accept Midway as payment? If I ran a pension fund I’d tell the city to f$&% off and give me cash. Fire all government workers in IL, then hire replacements at market rate and benefits. Sure beats bankrupting the whole state. The only way the pension fund gets money from this scheme is if the City sells (privatizes) the airport or some of its revenue streams. yes, handing over midway airport is ridiculous idea. but why don’t illinois pensions invest in infrastructure? or rahms infrastructure trust flop? the Canadian gigantic national pension funds invest heavily in infrastructure worldwide on airports, the skyway, toll roads, etc with gigantic time horizons. I guess to some extent calpers does as well. but they’re investing not being handed over an asset. When will the decision-makers go after the real problems of excessive salaries, extravagant pensions and health care benefits, bloated bureaucracies, etc.? These hard decisions on restructuring should have been made years ago. Instead, we get to read of endless ideas that aren’t financially sound. I know it’s tough to make decisions to lessen salaries, pensions, and health care benefits when you’re one of the benefactors. It would be nice if someone placed the interest of the future of Chicago first and was willing to make concessions to ensure that this future will be bright. Democrats don’t think like that. Look at the bright side. They could list it for sale and count it as sold booked revenue every year from now on. Works for Thompson Center! Problem is they’d be giving this away. This would not be a sale. Additionally in managing these assets they would insist that all operational labor be union with full pension and health care and above $15 minimum wage. Nobody would be able to operate a cash register, clean a toilet or weigh a suitcase without a union card. This is a terrible idea, SEIU must have thought of it. This proposal is a joke. A sad commentary on the low quality of work emerging from that Chicago policy center. Moving an asset from one pocket to another pocket on the same pair of pants provides absolutely no more capacity to deal with fiscal problems. Sell it all, the parks, the lakefront, harbors, all public buildings, everything. The sooner there’s nothing left to steal the sooner we’ll be rid of the thieves. Notice how much better the city’s parking meters and Skyway work since they were sold. Straight thinkers in the B-school? Hmm. John Cochrane, son of the late Eric Cochrane of UC’s history dept., has decamped for Stanford. Old-timers in econ? They’re probably emeriti squared. Remember UC is involved in a lawsuit with the Pearson Family Members Foundation for scamming their 100 million pledged for developing a school for promoting peace. Unfortunately every notion emanating from UC nowadays needs to be taken skeptically. “If your mother says she loves you, check it out.” Always good advice. We write here knowing that actuaries like you and experts in other areas will jump on us if we make a mistake. That’s the real value in comment sections — they force discipline. Without a doubt, our public “servants” have become our masters, all in the course of one generation. They will live in gilded retirement communities — until they can’t. They should try to transfer the ownership of the Titanic to the pensions as well.